For many, the idea of ‘light beer’ conjures images of red solo cups and beer pong. Light or low calorie beers rarely seem to come hand-in-hand with flavor. But in the past couple of years, that has started to change (thankfully). Craft beer makers are beginning to embrace a style that they may have scoffed at just a few years ago. In addition, last year, the Washington Post reported that the three highest-selling brews in America are now light beers. For a while now, this low-calorie space in the craft beer market has been largely just blank space, waiting to be colored in. If drinkers want something lighter and more refreshing, but still want a full-flavored, enjoyable beverage...the sad truth is, they’ve been out of luck until recently. Fortunately, this blank space has not gone unnoticed by the craft beer industry. 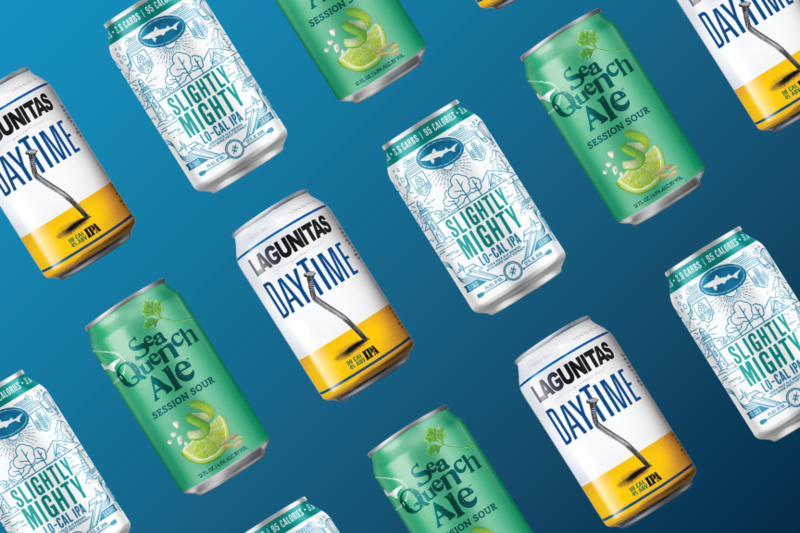 Craft heavy hitters like Lagunitas, Dogfish Head and Kona Brewing all rolled out low-calorie options in the past two years, with huge success. Lagunitas Daytime IPA proudly boasts of its 100 Calories on the label, and the company has seen a very warm reception to the brew. In fact, over the past six months, the Daytime IPA has seen a 236.9 percent growth month-over-month. These beers aren’t just low-calorie by accident, either. 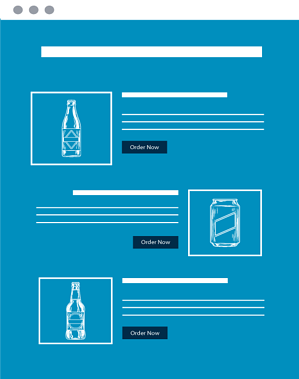 Inside and out, they are designed with a purpose -- encouraging the consumer that it’s okay to throw a few back. The lower-calorie, light beers often come paired with some sort of ‘outdoorsy’ or ‘active’ imagery. SeaQuench Ale’s label calls to mind days out on the beach or in a kayak on the water. Kona Brewing’s Kanaha Blonde Ale features a woman kiteboarding on its label. Meanwhile, Lagunitas light beer is proudly titled “Daytime”, implying that this is an active, anytime sort of adult refreshment. The low-calorie beers also offer a significantly lessened ABV -- typically hovering around (or even under) the 5% mark. We’ve discussed zero-proof cocktails in the past, and it seems these low calorie brews are following in that sort of pattern. From our perspective, these low-cal beers are particularly attractive to the ‘casual’ beer-drinker. The descriptors are rarely heavy in technical jargon, and tend to expound more poetically about active lifestyles and sun-soaked days. The beers tend to be made for session drinking, the lower-calorie and lower-ABV encouraging consumers to enjoy more than one. And like most craft trends, the big boys are taking notice. While Miller Light and Bud Light are still market behemoths, they don’t embrace the younger, craft-oriented market that Lagunitas and the like are tapping into. MillerCoors has recently launched a low-calorie ‘craft’ beer through their recent acquisition, Saint Archer Brewing Co. This low-calorie option will be proudly titled “Saint Archer Gold”, and (like the aforementioned options) will prominently feature a badge of “95 Cals”. Well, there are a few takeaways for us. First, it’s a good idea for us to start catering to this newfound desire in the customer. And with warmer weather finally upon us, there’s no time like the present! While 11:00 PM on a Saturday night may not be the time that consumers find 4% ABV the most attractive, it definitely fills a certain other void. Midday drinkers often won’t want to stumble out of your bar, and a nice, light beer could be just the ticket. Looking at that situation from a business perspective, it adds up (and then some). Generally speaking, less alcohol means more purchasing. These easy-to-drink beers cater to a session-style drinking, as opposed to the ‘one and done’ mentality that sometimes comes with heavy, darker beers. With bold, bright flavors and this increased consumability, we’re all for the light beer trend. A larger, more macro perspective is equally relevant, though. Consumers like things that are seen as healthy, now more than ever. From zero-proof cocktails and low calorie beer, people are gravitating toward light. We’re seeing this sort of trend come in all shapes and sizes, and it’s certainly set to hit even harder in 2019. Our advice? Stock up on low-cal, and keep it flowing.